Culture defines our way of life. It is dynamic. Culture encompasses beliefs, values, and reflects choices that provide a framework for living. Anyone working with families and persons with disabilities in any setting needs to understand the cultural values, beliefs and accompanying behaviors so as not to misinterpret another’s words and actions. To some families, Western interventions can be seen as intrusive or not effective. Some families rely on a blend of western and their own cultural interventions such as a medicine man, prayer, or acceptance. Cultural competency means being inclusive of all families, children and adults including those with disabilities. Cultural identity includes ethnicity, socio-economic status, religious/spiritual beliefs, definition of family, region where one lives, language, food, values around receiving help, roles related to age and gender, rituals, communication styles, social and family behaviors, child rearing practices, and perceptions of health and disability. Families may operate in a number of cultural contexts including their culture of origin and the culture of their home community. An important concept about cultural is to understand that our own cultural values give meaning to behavior. An example of this is found in the expectations around eye contact when in conversation. Typically in Western culture, eye contact conveys that the person is listening and showing respect. In other societies eye contact is seen as aggressive and showing disrespect. Cultural competence can be seen on a continuum from cultural destructiveness to cultural proficiency. Being culturally proficient means that an organization sees culture as an essential element of providing services and is continually developing the most culturally relevant practices, materials, and staff to meet the complex needs of the populations they serve. We all see the world from the lens of our own cultural upbringing and choices we make in terms of the values we live our daily lives. When a person with a disability becomes involved with a medical facility, school, court, or any system where he or she will interact with policies, regulations and structures there is an opportunity for great confusion or great learning. Cultural competence and proficiency “requires that organizations have a clearly defined, congruent set of values and principles, and demonstrate behaviors, attitudes, policies, structures, and practices that enable them to work effectively cross-culturally”. Given the complex array of services and supports it is imperative that systems and organizations are prepared to be accessible in terms of cultural competency. Bronhiem, S., Goode, R., Jones, W. (2006). Policy brief: Cultural and Linguistic Competence in Family Supports. National Center for Cultural Competence. Retrieved on March 18, 2011. Goode, T. (2002). Achieving Cultural Competence in Organizations: Implications for Systems of Support for Individuals with Disabilities. (PowerPoint slides). Retrieved on March 20, 2011. Goode, T. (2004). Cultural competence continuum. Retrieved on March 20, 2011. Goode, T. (2009). Promoting cultural diversity and cultural competence. National Center for Cultural Competence. Georgetown University Center for Child & Human Development, University Center for Excellence in Developmental Disabilities Education. Adapted from Promoting Cultural Competence and Cultural Diversity in Early Intervention and Early Childhood Settings. June 1989. (Revised 2009). Goode, T., Maloof, P., (2011). End of life through a cultural lens. (PowerPoint slides). Retrieved on March 20, 2011. Information and Technical Assistance Center for Councils on Developmental Disabilities. (2010). Task 2.4 Cultural Competence Plan. Approved by the Administration on Developmental Disabilities on March 8, 2010. Retrieved on March 20, 2011. Conceptual Frameworks/Models, Guiding Values and Principles. Center for Cultural Competence, Georgetown University. Retrieved on March 22, 2011. Pengra, L.M., (2000), Your values, my values: Multicultural services in developmental disabilities. Baltimore: Paul H. Brookes Publishing. TASH. Diversity and Cultural Competency. Retrieved on March 20, 2011. TASH. (2010). Diversity and Cultural Competency in Disability Advocacy Initiative. Retrieved on March 20, 2011. Willis, F.B. (2001). Cultural competence: Do you have it? Retrieved March 20, 2011. Date posted: May 18, 2011. Content created by The Developmental Disabilities Institute at Wayne State University. Last updated: March 21, 2018. 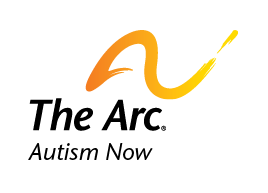 Find similar content about: Autism 101, Community Life.